Young Farmers, road safety experts and rural road users joined forces last night for an online discussion on rural road safety and NFYFC’s Drive It Home campaign. 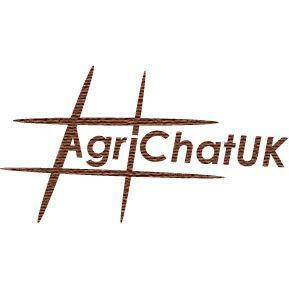 The discussion was held on Twitter forum, AgrichatUK, and was led by the Agrichat team, as well as NFYFC Chairwoman, Milly Wastie. Despite the date, there were plenty of people getting involved with the forum, including one of the stars of Channel 4 show First Time Farmer, Ally Hunter Blair who tweeted his thanks to Milly and AgrichatUK for hosting an 'interesting and busy discussion'. The forum sparked debate on issues such as the hazards of driving on rural roads and ways to improve road safety. Suggestions varied from including rural roads in driving tests to television advertising campaigns on rural road driving. How to change young rural driver attitudes was also another hot topic, with inexperience and over-confidence being identified as key problems. @neilquinlan tweeted that ‘as someone who crashed after passing my test, humanising stories and videos is definitely key.’@JamieKerslake88 suggested speaking about the dangers of rural roads at agricultural and country shows and Milly Wastie tweeted simply, ‘rural roads not racetracks, flowers at the roadside says it all. The Drive It Home campaign was highlighted as a way for YFC members to help tackle attitudes, through club nights and events in the local area as well as attending practical driving courses or becoming Drive It Home champions for the local area. 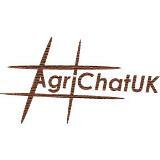 Click here to read the full #AgrichatUK discussions from last night. To find out more about the Drive It Home campaign and how you can get involved visit our webpage or follow the campaign on Facebook and twitter using the #driveithomeyfc. 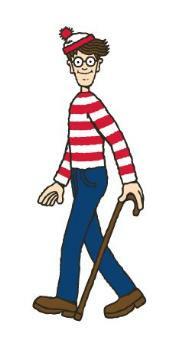 Where's Wally online outfit shop now live! 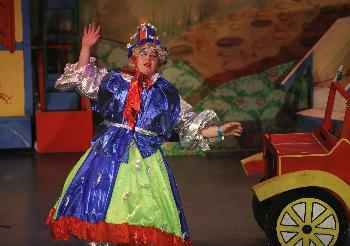 YFC members can now grab themselves a fancy dress bargain at the brand new 'Where's Wally' Online Costume Shop created especially for Annual Convention 2013. The online shop, which offers exclusive packages to YFC members, includes everything you need for the perfect Where's Wally outfit, including comedy glasses, stripey tops and his trademark bobble hat. "YFC members voted overwhelmingly in our online poll for Where's Wally to be the fancy dress theme for this year's Convention, and so we decided to make sure members could get their outfits at a great price!" The shop is run by clothing company UpStream, who will also be selling the outfits and accessories over the Convention weekend. You can get involved with the convention buzz in our Countdown to Convention - keep an eye on Facebook and Twitter for our cheeky teasers, using #yfccountdown. 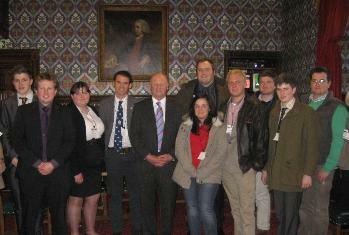 Young Farmers’ Clubs members were given the unique chance to talk to top politicians and rural policy makers on Monday, with a visit to Westminster. Members from across the country battled through snowy conditions to the capital to visit the Houses of Parliament, speak with the Rt Hon Sir Jim Paice MP and visit the NFU Parliamentary office in Westminster. High on the list of concerns was the future of school farms and their importance to young people as well as YFC school clubs. Subjects of discussion varied from CAP Reform and the future of the EU to renewable energy and promotion of the industry. The opportunities and impacts of current and future environmental schemes and livestock issues were discussed with plenty of opportunity for the younger NFYFC Youth Forum members to have their say. Young farmers were encouraged to be advocates of their industry and NFYFC by speaking to the public, MEPs and MPs about farming and the countryside. The NFU’s senior Parliamentary adviser Matt Ware also gave a thorough overview of the organisation’s lobbying activity and members were encouraged to make contact with parish, county and district councilors as well as their MPs. To find out more about NFYFC's agricultural work, visit our Agriculture and Rural Affairs pages. The decision has been taken to cancel the 80th Celebration Ball that was due to take place in Blackpool on 2nd May this year. After much consultation with members and County staff, the feedback was that there is a lot of excitement about Annual Convention, but that members were not planning to attend the extra event on the Thursday night. The cancellation, however, in no way affects the Annual Convention itself, and the team are putting all of their energy into making this year's convention the biggest and best yet to mark the end of NFYFC's 80th year. "It's disappointing that we won't have a specific members' event on the Thursday night to mark the 80th year but it was great to know how much everyone is looking forward to the other three days of Convention. We listened to members' views and made a decision based on your feedback. I'm really excited about all the other stuff we have planned over the weekend and can't wait to see thousands of Young Farmers in Blackpool in May!"